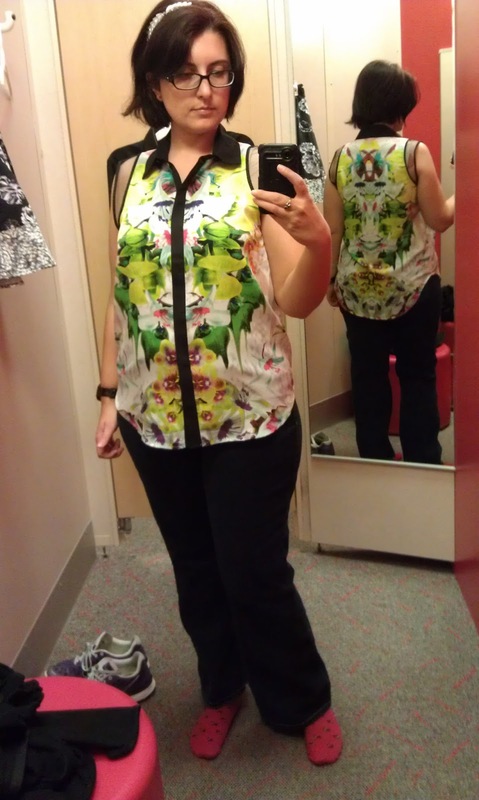 Prabal Gurung for Target Review | Oh Sarah O ! As if you fashionista's didn't already know, the Prabal Gurung collection for Target was released on February 10 and if you're like me, you instantly started browsing the collection online as soon as the ad hit your television. Initially after seeing the ad, I was ready to buy up the whole damn collection, but after seeing some of Target's past collections in person, I fear that sometimes the collection's sacrifice quality in lieu of having a big name on their shelves. 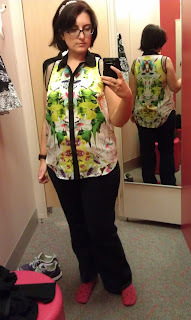 So this week, I visited my local target store and tried on a few of my favorite items in person. First I tried on the sleeveless blouse in First Date Print and I'm glad I did. This was the piece that had me most excited after viewing the collection online and it had high reviews. However, after trying on the Medium I found that the top ran big and the polyester material was rather thin, so I passed on this one. 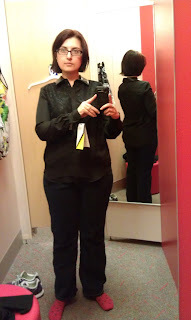 Next, I tried on the Lace Front Blouse in black. This piece got me most enthused in the store since it was the piece that fit in most with my style and I liked the faux leather collar. But, the top was also made out of that thin polyester fabric and I noticed that the blouse already had noticeable runs and a hole in the front from previous try-ons, so I also left this behind. 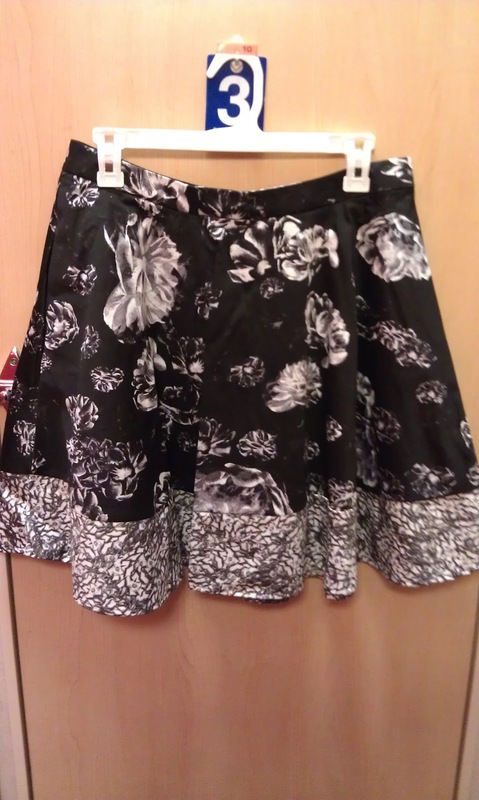 Finally, I picked up the skirt in Meet the Parent's Print to try on for shits and giggles. 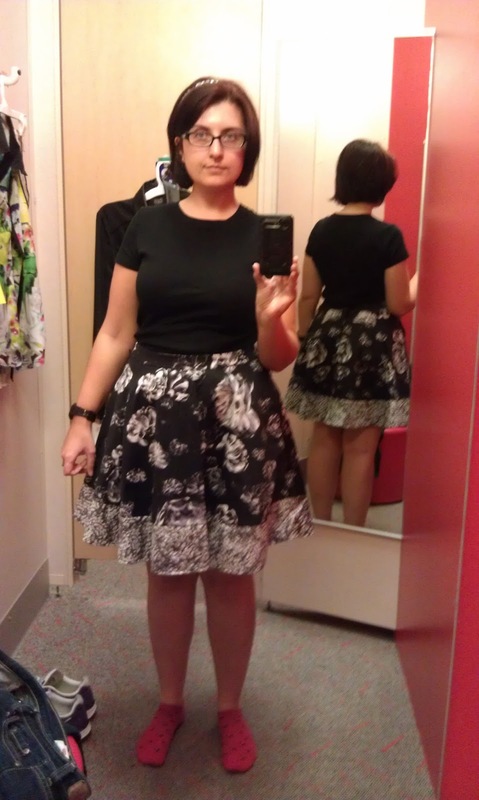 I don't typically wear a lot of skirts because they're rather hit or miss on me. They're either super flattering or they make me look huge. 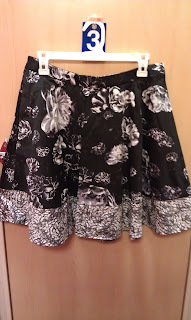 I was pleasantly surprised to see that this skirt was fully lined and made of thicker material than the blouses. The skirt had a circular skirt shape that was very flattering and was long enough to cover my bum and things I'm not too keen on showing. 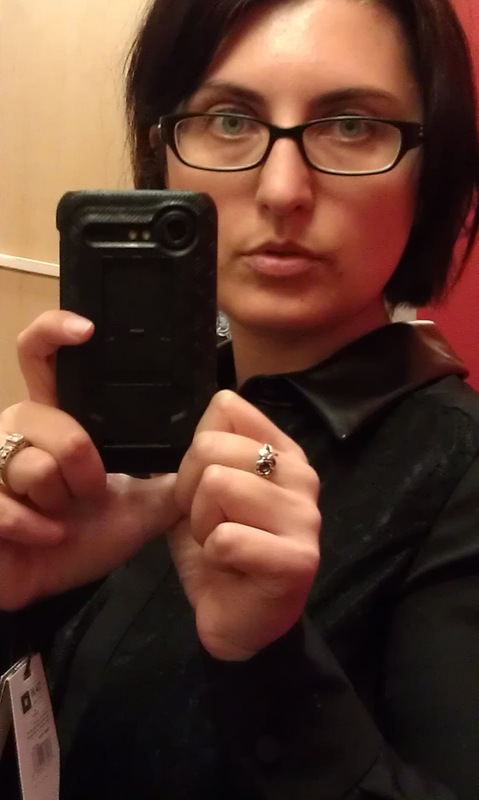 I ended up taking home the skirt. 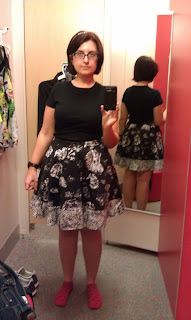 There were many more pieces available at my local Target store that I did not try on such as the drop waist dress in First Date print that appeared to be made of good quality jersey, the short sleeved dress in First Date Print, and the dress with full skirt in Apple Red simply because I don't wear a lot of dresses. 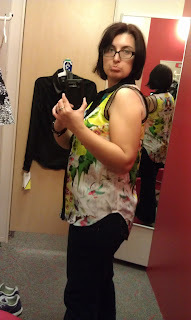 And there were several pieced that weren't at my store that I would have loved to try on such as the sweatshirt in First Date Print, the peplum top in Floral Crush Print and the lace overlay top in white/black and I didn't even look at the accessories or shoes. Overall, I felt like there were more good quality pieces in the collection than there were in the collections with Neiman Marcus and Jason Wu. So if you have a Target near by and cash to spare, check out the Prabal Gurung collection and then tell me what you think.